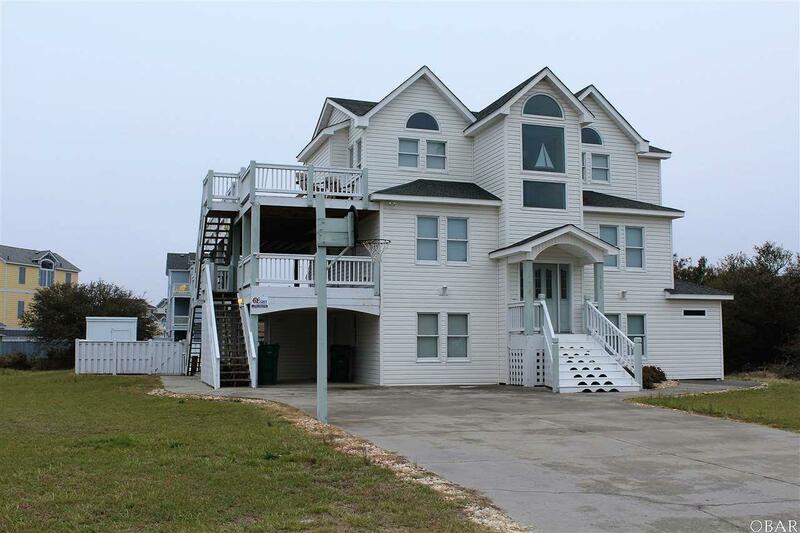 Great Corolla/Whalehead home, close to direct beach access. Custom built home with many extras. Large kitchen with lots of cabinets and ample counter space. New fridge. Ceramic tile floors in kitchen. Huge great room with gas fireplace. Gorgeous maple floors. Spacious dining area. Great screened porch and lots of sun decks. Pool area is enormous. 30 X 16 pool with waterfall. Nice bath with shower, toilet and sink outside by pool. Recreation area outside with ping pong table. Downstairs kitchen is perfect for cooking for everyone at the pool. Nice oak cabinetry. Entire downstairs kitchen and game room is ceramic tiled. Nicely furnished. Lots of parking. Shows well. Gross rental projection from Seaside Vacations for $67,905.